What is Giclée? Giclée (zhee-klay) - The French word "giclée" is a feminine noun that means a spray or a spurt of liquid. 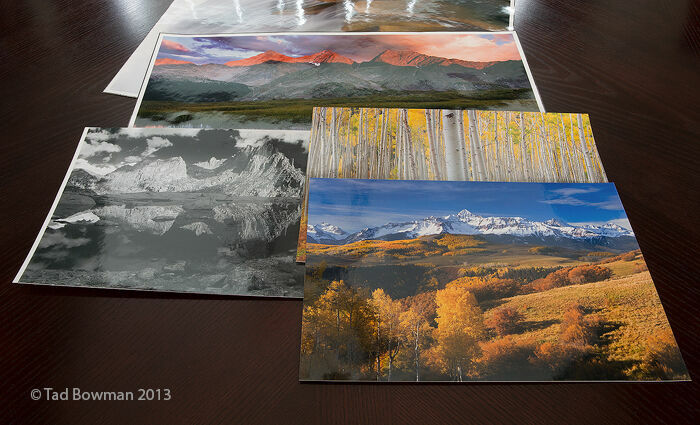 Giclée prints are created typically using professional 8-color to 12-color ink-jet printers. Giclée prints are produced using a state-of-the-art twelve ink high-sustainability Canon Lucia EX pigment ink printer; these pigment inks combine the glossiness of dye ink with the vivid colors and weather resistance of pigment ink. With this printing technology colors are more true to color than chemical prints and can achieve 1200 dpi resolution with ink drop sizes as small as 4 picoliters. Satin (Luster) paper is the chosen medium to print. This archival premium-quality photo paper is slightly textured and maintains a satin (or luster) surface. It is similar to E-surface papers utilized in darkroom printing; however the print surface doesn't show fingerprints, reflect as much glare as glossy papers, and provides greater color accuracy. It has excellent ink retention properities yeilding an exceptionally large color gamut for bright, realistic saturated colors.